The Nairobi Tech Week is Sub-Saharan Africa’s largest annual tech event for product makers. Priscilla will sit at a panel discussion that will delve into the ”Relevance of tech for other sectors: Case Studies” and will showcase Techfugees’ work, particularly our first African hackathon (which take place early April at iHub). Have a look at Techfugees Kenya’s page!  Meet Techfugees’ CEO at “What design can do?” in Mexico!  May, from Monday 6th to Wednesday 8th – Mexico City, Mexico; Keynote speech from Joséphine Goube at 12:15 (local time) on Wednesday 8th. The “What design can do” conference is an international platform on the impact of design. Its purpose is to empower creative communities around the globe to improve and transform society.  Meet the Techfugees team at Viva Technology 2019! 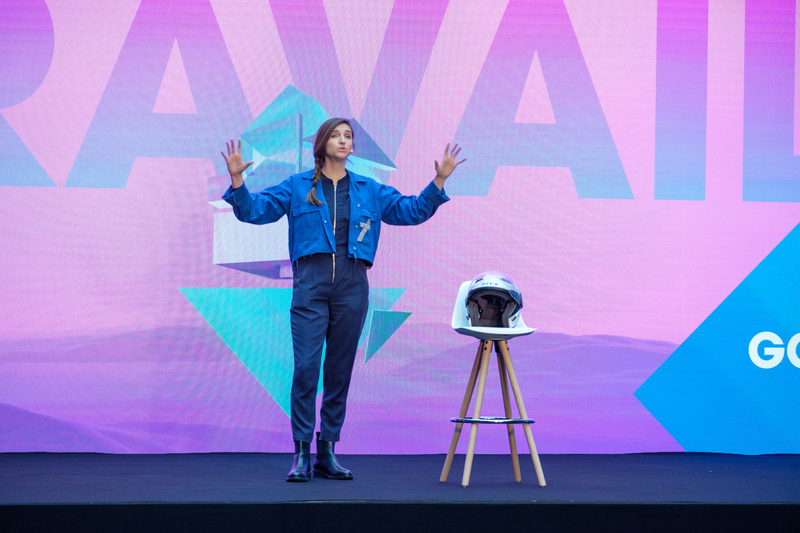 VivaTech is the world’s rendezvous for innovators in France to celebrate today’s innovations and tomorrow’s possibilities for everyone who believes in the power of technology to transform business and society. More details soon! Waiting, have a look at VivaTech website.  Meet Josephine Goube at this year’s RightsCon Summit in Tunis! The RightsCon brings together business leaders, policy makers, general counsels, government representatives, technologists, and human rights defenders to tackle pressing issues at the intersection of human rights and digital technology. Techfugees’ Greek Chapter representative Sophie Lamprou will discuss the role of Techfugees in the Greek “refugee crisis” and how can we use innovative technological and educational solutions for positive impact. Sophie will participate in the “Western Balkans and the Refugee Crisis: Addressing internal and external challenges, protecting human rights and building a new way forward” panel, part of the Thessaloniki Regional Forum agenda. Techfugees’ London ambassador, Alice, will take part in KCL Student Action for Refugees (KCL STAR) symposium themed on “The Journey After the Journey: The UK Asylum Process”. She will lead a workshop about the way to use tech to empower refugees and displaced people and share Techfugees’ three-years experience.  Meet Techfugees’ CEO in Berlin! Joséphine GOUBE will take part in a panel discussion organised by APX by Axel Springer Porsche with Nathan Sparling (CEO of HIV Scotland’s) and Jamie Szymkowiak (Founder of One in Five). Discussions will focus on this topic: what startups can learn from charities, from fundraising, marketing, and how to enter new markets?  Meet Oscar from Techfugees Cambridge! Techfugees Cambridge‘s Lead, Oscar, will speak at the Cambridge International Development Conference, held by the Centre for Global Equality Student Society. More info & registrations here! Have a look at Techfugees Kenya’ page.  Meet Laila, Techfugees’ representative in Spain, at “Data for good Barcelona” meetup! Data for Good Barcelona is a space where people from the world of Data and Analytics can connect with social organizations. #TFStories – Meet Yama!Where & when to get involved with Techfugees?